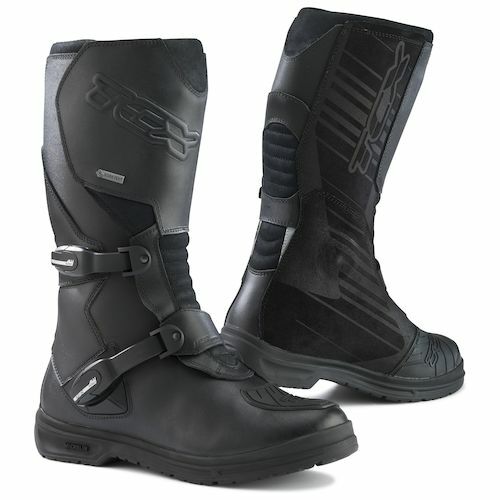 Same use and so same constraint: a boot motorcycle to be used in maxi-trail must be as versatile as a tire of the appropriate category. 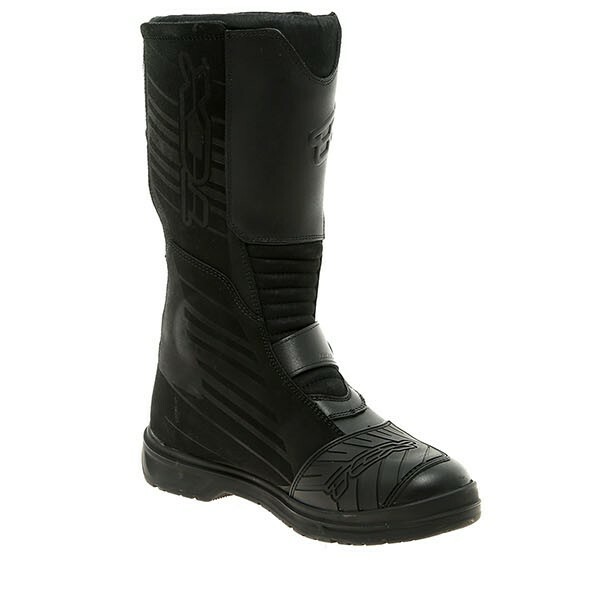 That’s why TCX teamed up with Michelin for the sole of its new high-end, the Infinity Evo Gore Tex. 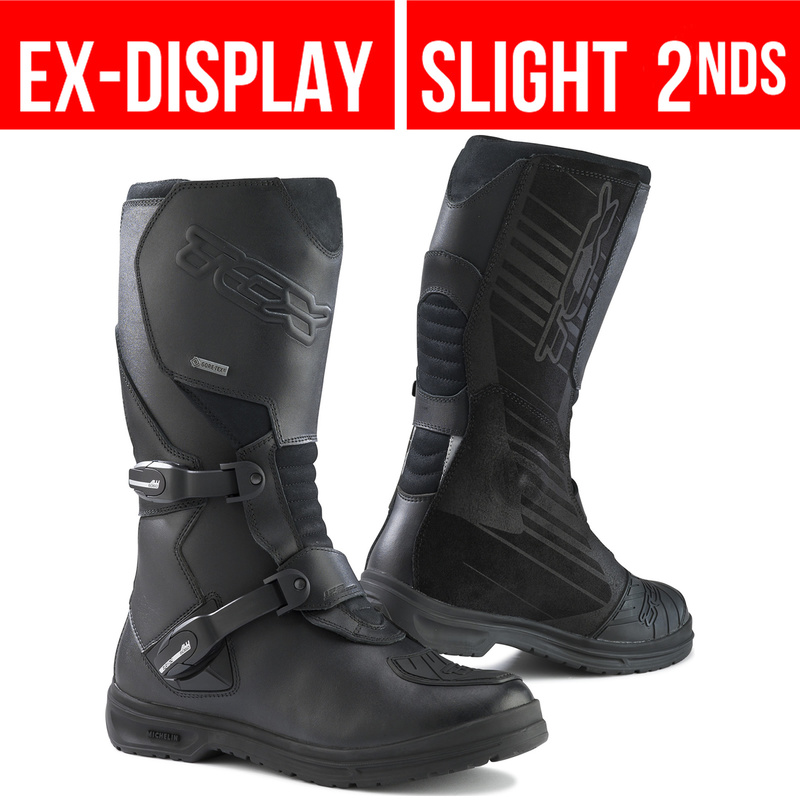 The Italian manufacturer TCX, specializing in the design of motorcycle boots, did not have a conventional stand during the last show of Cologne. Like Shark, the brand was present to meet its distributors Europeans and tell them about the new range. Among these, several new features will be officially presented at the Milan Show in November. 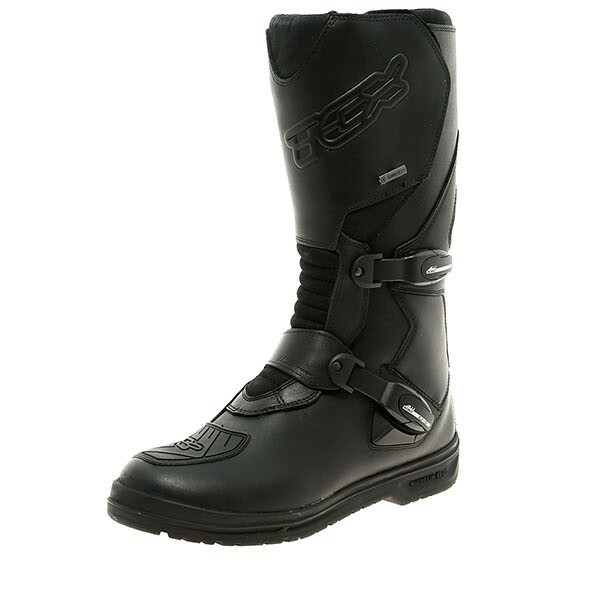 Including the Infinity Evo Gore Tex, boots cut for adventure and to the very special since sole inspired by Michelin tyres. 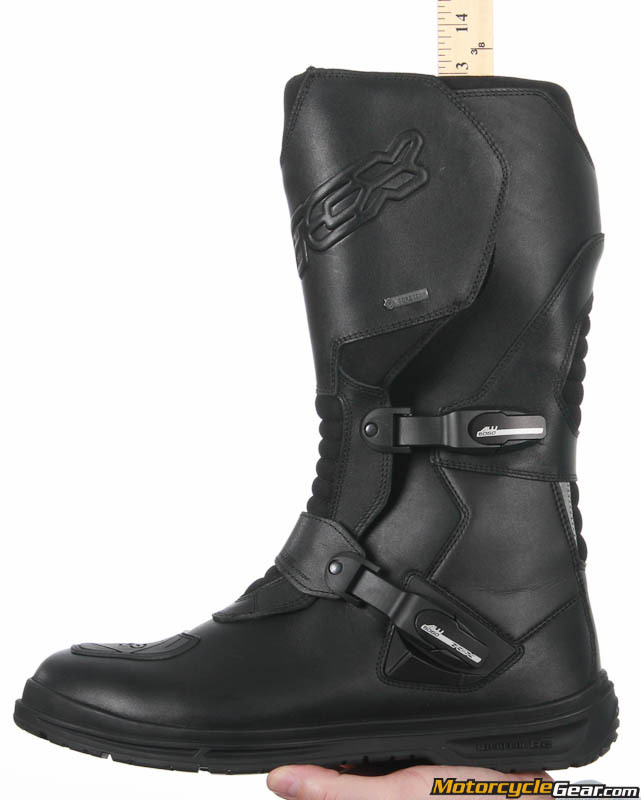 Surprise in discovering this model for TCX: If the Rod has the brand logo, the sole displays the name of a french manufacturer that they expected not to this place. The Infinity Evo GTX inaugurate indeed a partnership between Michelin and TCX, the first the second granting the right to use some of its technologies. In this case, the sole Michelin is inspired by the tyre Michelin Anakee III technology and returns the aspect of its tread to offer an ideal announced outsole. As a maxi-trail riding, you sometimes find, far from the cities, to have to trudge on land to the precarious grip. 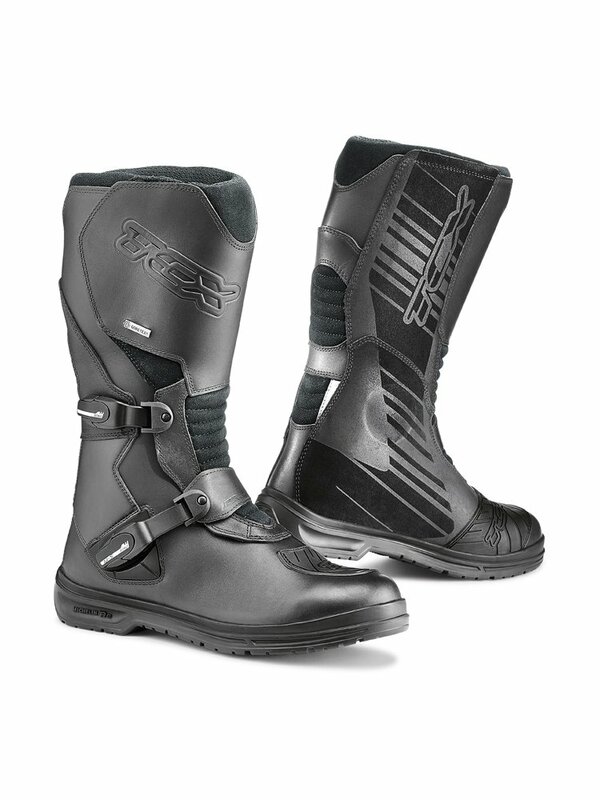 The design of the sole promotes the expulsion of water, mud and debris, while guaranteeing maximum stability and grip in all conditions of use through the use of a special blend that has nothing to do with the mixture of compounds used in the tire. Without being as extreme as this model for farmer presented year passed, Michelin’s involvement in this project confirms the orientation given to the Infinity by TCX. The “Touring Adventure” is the key word here. 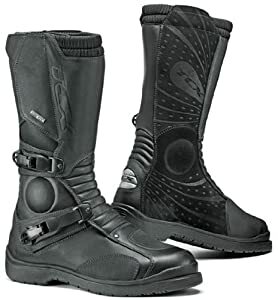 High-end model designed for people who wish to take their maxi-trail highway as in the railways and in all weathers, the Inifiny Evo Gore Tex boot adopts a full leather upper flower on which of the padded shape memory bellows on the front and the back of the ankle for comfort even during long runs. I.F.S (Instep Fit System) system consists of a strip placed over the instep and directly attached to the stem to improve the foot support without make the shoe too heavy. To ensure a long life for its product, TCX uses two loops of aluminium for median and low clamping. 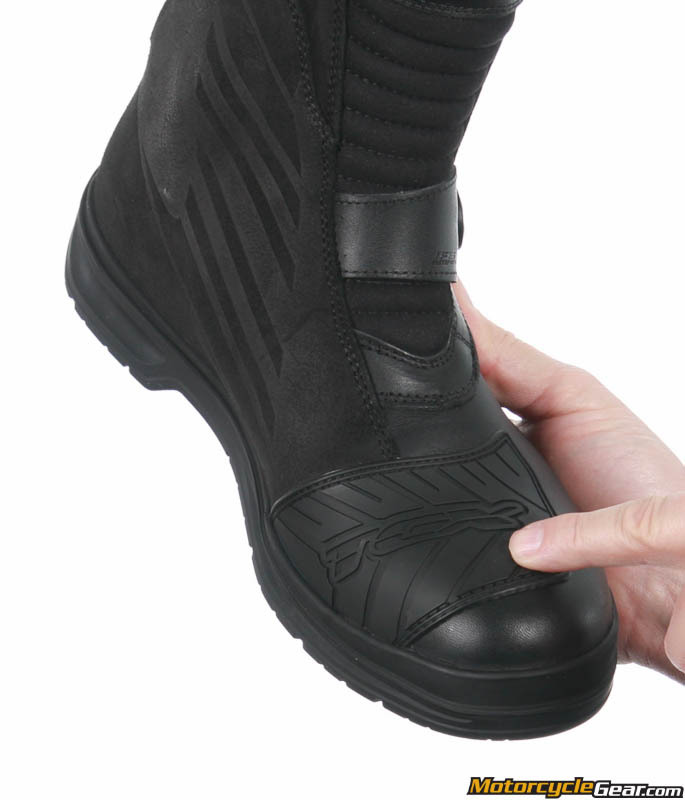 Upstairs, it’s a more conventional velcro that allows to adjust the torque to the calf. 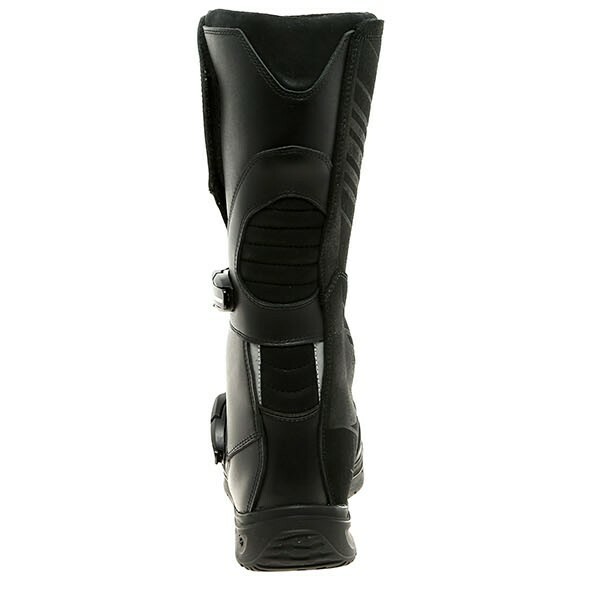 Tibia and ankles are protected by polyurethane reinforcements and the inner side receives a new internal protection in haired skin anti-heat to increase grip on the frame of the bike, for those who will go. 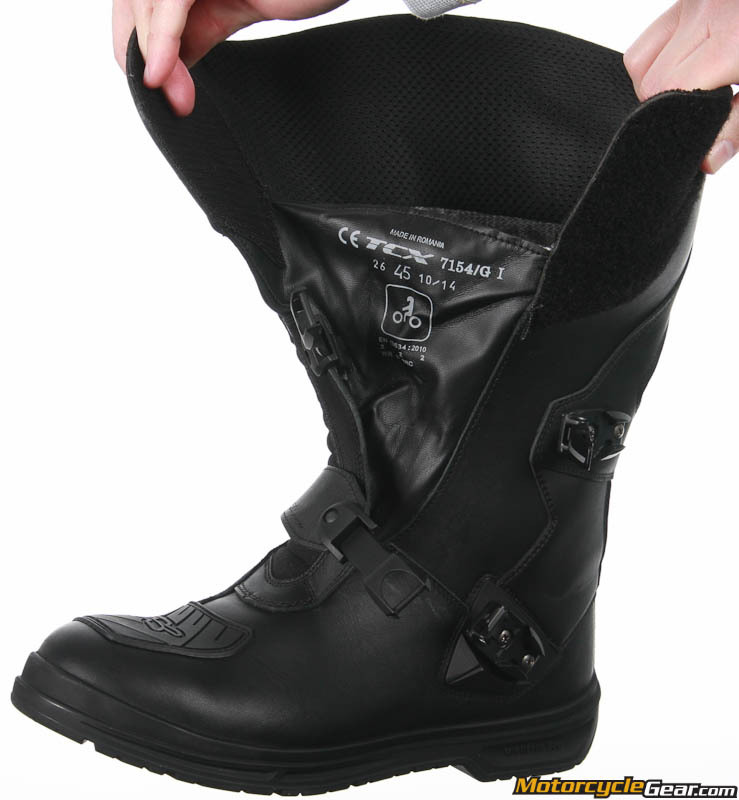 For those that the rain does not get their bike, a Gore-Tex membrane ensures waterproofing and breathability to boot. 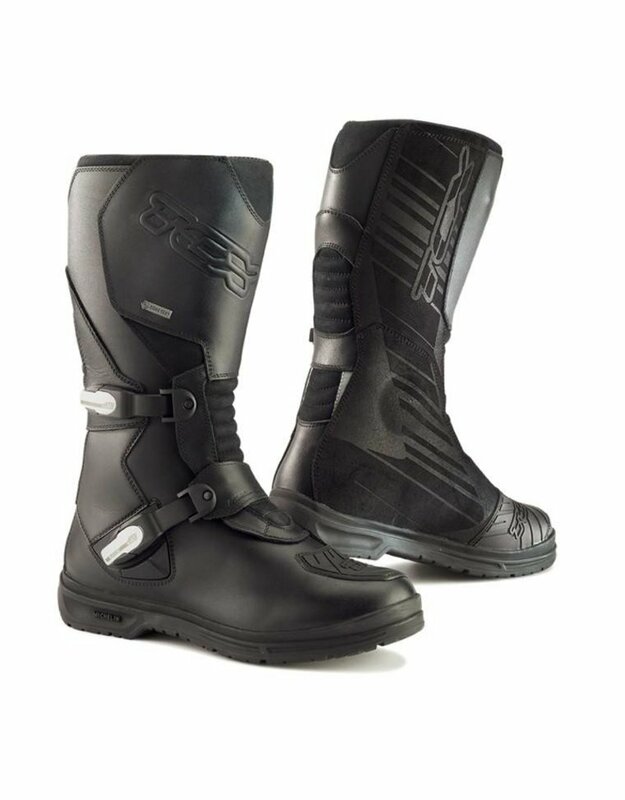 Finally, and is not to be overlooked, the boot received 13634:2010 certification, proof of its ability to protect from impact and abrasion. 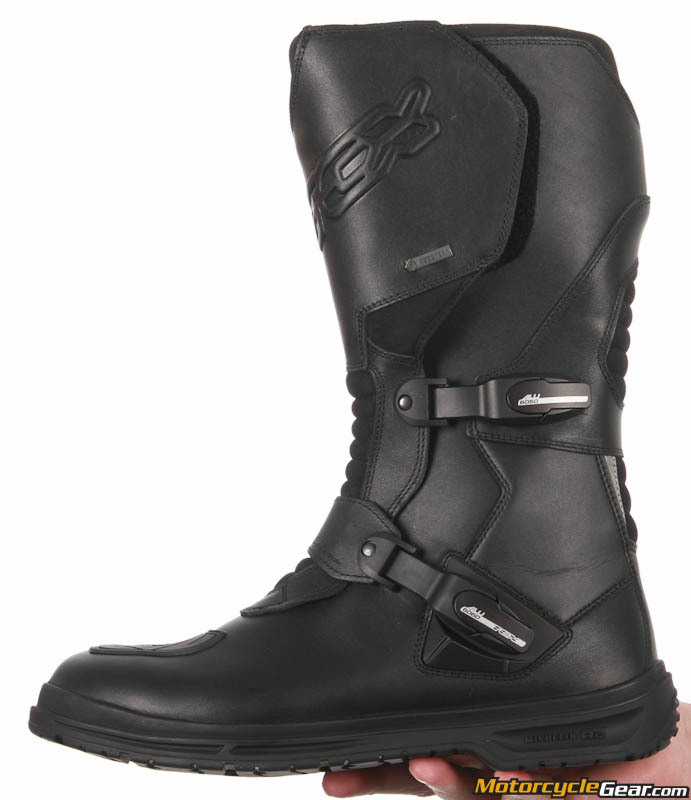 Available from 38 to 48, the TCX Inifiny Evo Gore Tex boots appear to €319,99. An elitist but rate justified by technical innovations present on this model, if efficacy is validated during a test.